Happy Monday, I hope your week is off to a good start so far! Today I am bringing you a bit of a different post due it being Coffee Week! If you aren't aware of Coffee Week you're not the only one, I am only aware due to a super interesting press release that fell into my inbox last week courtesy of Kahlua who I will be talking about more in a minute, however let me just talk to you about the amazing cause of Coffee Week. The idea behind it is to give clean water to communities in which help to grow coffee. Donations from last years Coffee Week went towards some amazing projects and the same will be happening this year! So in aid of this I decided to bring a post about 5 different ways to drink coffee, some more different than others! A pretty big trend around the world, especially when summer Strikes. I am a huge fan of drinking cold coffee whether it is over ice or in a delicious drink from Starbucks. There are so MANY amazing recipes out there for coffee cake, but I recently found an amazing Mary Berry one which sounds like it is to die for and is a perfect way to enjoy the flavour of coffee with a bit of a naughty treat. Find the recipe here. When reading A Cozy Kitchen I found an amazing way to enjoy coffee in a slightly healthier way, and that way is in a smoothie. The best way to do this is to add your ingredients along with some cooled coffee and ta daaaaa, you have another awesome way to enjoy coffee! An idea I would never of thought of without Buzzfeed, who suggest making a glass of cold coffee and then adding a large dollop of ice cream on top and you have your float. It sounds like a super fun and unique way to enjoy a coffee! What is your favourite way to drink coffee? I'm not really a coffee person (I know, sorry!) but I'd love to try out a couple of these ways as I imagine it might help me to start liking it! Oh i do love my coffee I didn't know it was coffee week though. I've never tried an espresso martini. For someone who loves both coffee and alcohol - I have never tried an espresso martini! I couldn't get life done without coffee but I had no idea it was coffee week! I'll be sure to celebrate with a few espresso martinis! Cheers! I love an iced coffee. The first iced coffee of the year is the start of spring for me. 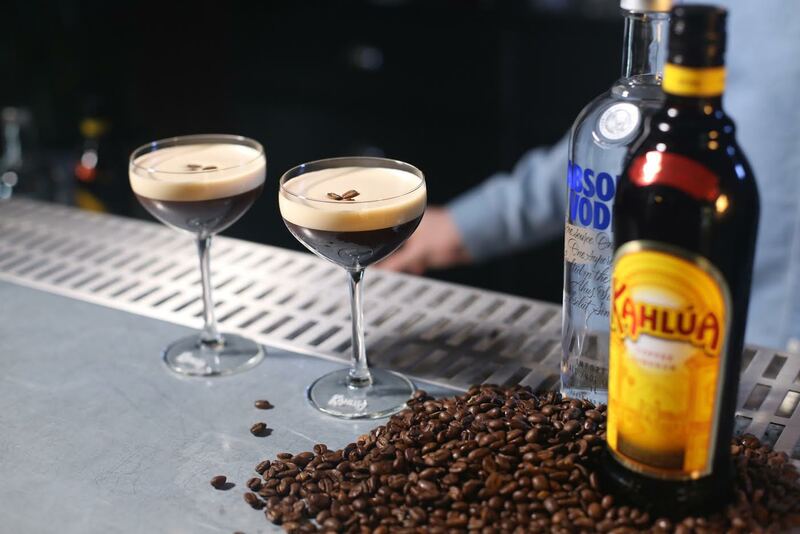 I am a big fan of Kahula in cocktails, it really gives them the edge. It's coffee week and I didn't know?! I feel like a failure! I still need to try iced coffee. I usually have to be in the mood or very tired to fancy a coffee! These all sound lovely. I've had a coffee float and it was amazing! We're not massive fans of Coffee but like your suggestion of a float. We like coke floats though! ooooo yummy ideas. I do love having coffee in cake, cocktails and iced coffees. Whenever I am going out for cocktails I usually order an espresso martini! I love coffee, but I can not for the life of me handle it iced!